Sometime in the middle of February 1954, Jimmy Minor put together a new show that was called the Big E Jamboree. His son, Todd, had found a letter to Jimmy's parents telling them of the new show. He already had three shows a week back then, one in Evansville and two in Princeton, Indiana. In mid-March 1954, Jimmy told his parents one of the guests on the show was Rod Morris, who wrote the hit song, "Bimbo". But alas, Jimmy said they did not get any extra pull from that appearance. The show was being held at the Legion Auditorium in Evansville, Indiana from 8:00pm to 10:00pm. Then after that portion of the show, there was round and square dancing for the folks until about midnight. 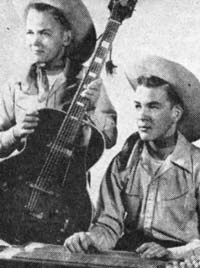 The only other artists besides Jimmy that we've been able to determine that were a part of this show were the Hillbilly Playboys, a couple of young brothers by the name of Billy and Sherman Smith. Billy was fifteen and Sherman was twelve at the time they were doing the show. If you have any information about this show, you can contact us at countrymusichistory@hillbilly-music.com. 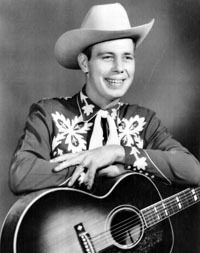 Hillbilly-Music.com wishes to express its appreciation to Todd Minor, son of Jimmy Minor for providing us with a copy of the letter he wrote to his parents about starting the new show in 1954.